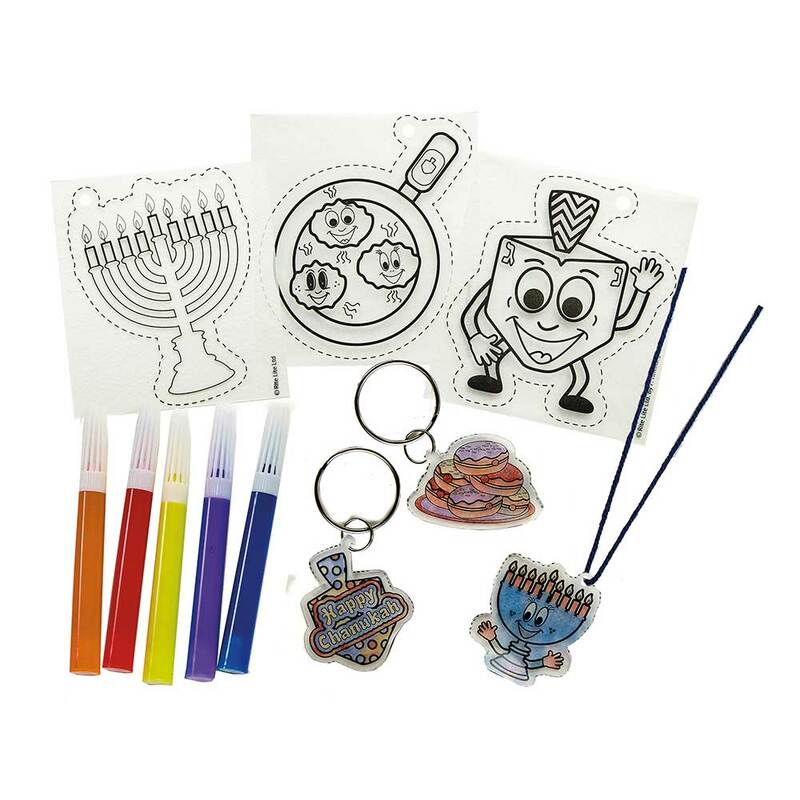 Hanukkah Activities and crafts galore, we'll help you keep the kids busy for 8 days and beyond. This Shrink art Kit includes 6 design sheets, 5 markers, 4 Keychains and 2 necklace cord. Adult supervision required. For ages 4 and up.